Facebook has been making changes to their News Feed algorithm and Page apps recently. Earlier this year, they announced a crackdown on Pages that shared content using “like-bait” or spammy material. This essentially meant that posts encouraging followers to “Like”, “Share” or “Comment” would be unlikely to show up in the News Feed. Another big change came in November when Facebook officially put an end to “like-gating” on Pages and apps. Brands that had found success encouraging followers to click “like” before viewing content (or to enter a promotion) will now have to find additional strategies for engaging their audience and building a following. 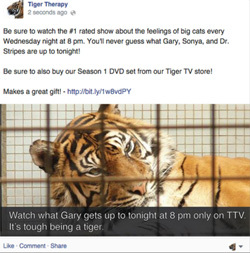 Facebook’s latest change will limit the amount of “promotional Page posts” that appear in the News Feed. Starting in January, posts from Pages that ask followers to buy a product, make a donation, or click a link to enter “promotions and sweepstakes” will see a dramatic decrease in organic impressions. “All of this means that Pages that post promotional creative should expect their organic distribution to fall significantly over time,” Facebook wrote in a Newsroom blog post. Facebook believes this will create a better News Feed experience for users by reducing the amount of promotional content shared by Pages. However, the change will not reduce the total number of ads that users are shown in the News Feed. In other words, brands will still be able to promote their products and maintain visibility — if they are willing to pay for it.